A Colorado-based legal reform group provides an effective model for other groups nationally. A Just Cause began by advocating for six software engineers serving long prison terms for disputed convictions on corruption charges. Friends and family of the defendants volunteered to form the group in 2005. Its relentless and by-now polished campaign includes a radio show, frequent visits to government leaders in Washington – and a decision last week by the U.S. Supreme Court to explore the possibility of considering the defendants’ petition. I become impressed with the leaders and their cause by meeting them in the nation’s capital this summer, reading their materials and being hosted on their radio show Sept. 2. The hosts were Sam Thurman (the group’s president), Cliff Stewart and his wife Lisa Stewart, assisted by commentator Lamont Banks. We exchanged ideas on the crisis in law enforcement and corrections. Part of that is to identify local instances of injustice and undertake effective reform. I described why their “IPR6” prosecution seemed suspicious and why others with similar grievances could learn from their methods, even though the path to justice for aggrieved litigants can be ruinously expensive and oft-discouraging. The group grew out of the federal prosecution on wire fraud charges of six executives IRP Solutions Corporation. The six executives were Kendrick Barnes, Gary L. Walker, Demetrius K. Harper, David A. Zirpolo, Clinton A. Stewart (Brother of Cliff Stewart) and David A. Banks. The IT entrepreneurs developed criminal investigations software for federal, state and local law enforcement. 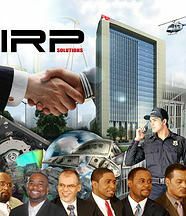 At the height of IRP's marketing efforts, and after a requested quote from the U.S. Department of Homeland Security (DHS) for implementation of IRP's software the company was raided by 22 FBI agents. After the raid on the business with just 13 staff on site, IRP was informed by DHS that IRP was to have no contact with DHS due to the investigation. This notice was echoed by other potential clients as well, including Philadelphia Police Department. This interference in commerce by the federal government forced IRP Solutions to close its doors. The government criminalized the debt as intent to commit wire fraud and mail fraud. At trial, the defendants represented themselves without attorneys. Federal authorities won convictions in 2011 on charges of mail fraud and conspiracy, largely on the basis of paperwork involved in the defendants' own compensation. A jury convicted them after one defendant took the Fifth Amendment on the witness stand under cross-examination, an unusual scene that tarnished all co-defendants. U.S. District Judge Christine Arguello ordered their imprisonment in 2012 under long terms without the appeal bonds customary in white-collar cases. One of their main defense arguments – and one that the Supreme Court has agreed to hear – claims that their trial judge verbally ordered during a “sidebar” conference during trial that one of them would have to testify. Arguello, the judge, is a Harvard Law School graduate appointed to the bench by President George W. Bush in 2008 after work as a law professor and at two private firms. Defendants argue that such an instruction violated their Fifth Amendment right against self-incrimination. Court officials have been unable to produce a full transcript of the sidebar conference. So, prosecutors argued, defendants’ claims are unsubstantiated. Defendants argue that such a vital lapse in court procedures involving more than 200 pages of missing transcript requires a new trial at the minimum. Among commentators sought out by the defense are retired U.S. District Judge H. Lee Sarokin, who took the highly unusual step of writing a five-part series in the Huffington Post this spring. 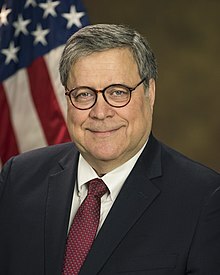 He retired in 1996 after 17 years on the federal bench at the trial and appellate levels based in New Jersey and Philadelphia. Certainly no judge would direct a criminal defendant to testify against his or her own will, but it is conceivable that something was said that reasonably led them to that conclusion. The answer lies in the record, which apparently does not exist, for reasons that seem to be elusive. The case raises numerous other serious questions about the prosecution, conviction and incarceration pending appeal of these defendants, but my comfort level limits me to this one strange mystery: the missing transcript. 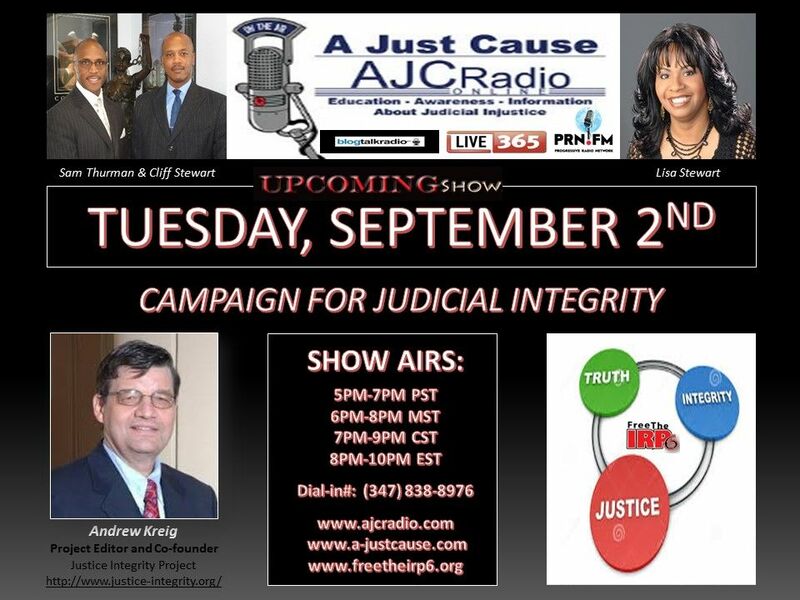 During the radio show this week, the hosts asked me how about the Justice Integrity Project's founding, evolution and our manner of deciding which cases to report. The radio team is shown in a file photo at right. I explained that the project grew of serious irregularities in a number of Bush-era federal prosecutions of political targets and the failure of the Justice Department and courts even under a change of administration under President Obama to rectify clear-cut injustices. One such case still in the news involves the 2006 federal convictions on trumped-up corruption charges of former Alabama Gov. Don Siegelman, his state's leading Democrat. Siegelman remains in prison. As reported in Alabama Newspapers Urge Disgraced Judge Fuller To Resign, his trial judge is clinging to a lifetime appointment following the judge's arrest on a wife-beating charge scheduled for a hearing Sept. 5. The reasons for lack of effective oversight of prosecutors and judges are complex but in many instances derive from institutional loyalty, apathy and careerism that transcend professional standards. How does the Justice Integrity Project choose which cases to report among the millions of criminal and civil cases pending in the United States at any given time? We look for clear-cut irregularities such as the missing transcripts in the IPR6 cases or in the 1964 federal corruption prosecution of former Secret Service officer Abraham Bolden, who held the distinction of being the first black Secret Service agent after President Kennedy recruited him to break the color barrier. Bolden went on to complain to colleagues about lack of security for the president both before the 1963 murder and after. Following the killing, Bolden tried to alert the Warren Commission about Secret Service shortcomings. Instead, authorities promptly prosecuted Bolden on charges of soliciting a bribe from a counterfeiter. Bolden was convicted after two trials marred by serious irregularities, including missing transcripts unavailable for appeal. An Alabama-born judge sentenced Bolden to seven years in prison, much of it in maximum security and with forced ingestion of drugs. The former agent could not prevail on appeal without trial transcripts. The problem was especially dramatic because soon after Bolden's conviction the counterfeiter swore in another case that he had been pressured to perjure himself to convict Bolden by a prosecutor. The prosecutor, remarkably enough, took the Fifth Amendment when asked to swear in court whether he had tried to frame Bolden with perjured testimony. Bolden is still alive, living in Chicago. I have invited him to share his powerful story at a major conference on the Warren Commission and Kennedy Assassination planned Sept. 26 to 28 at the Hyatt Regency Hotel in Bethesda, MD. The event is organized by the Assassinations Archive and Record Center (AARC), a group I am assisting on the unique, historic occasion of the 50th anniversary of the Warren Commission's flawed report. Regrettably, Bolden's health does not permit his attendance at the conference thereby foreclosing his participation in a remarkable collection of other witnesses to history who want to tell their story before death. But his experience illustrates that serious judicial and prosecution misconduct are possible even in high-profile federal cases. The hosts from A Just Cause Radio asked how victims and the public can fight indifference by the mainstream newspapers and broadcasters to gross injustice. I explained that journalists and their managements are under tremendous financial pressures these days. Therefore, a culture of survival has replaced traditional notions of an aggressive, independent media serving as the public's watchdog on sensitive and complex matters. In practice, this means that many over-worked, underpaid journalists fear that they will lose their jobs. Therefore, they ignore legitimate complaints about the legal system and kow-tow to powerful prosecutors, judges and other authority figures. I recommended that other groups study the methods of A Just Cause, which combines legal and media strategies on behalf of its major cause -- the imprisonment of the IRP 6 -- with advocacy for others similarly afflicted across the nation. In unity, there is strength, as the saying goes. And there is no other viable solution. Ethel Lopez, a Colorado-based volunteer with A Just Cause, delivers a briefing book on the IRP6 case to Justice Integrity Project editor Andrew Kreig after they gave separate talks at the annual "Whistelblowers Summit" conference in Washington DC. The locale was the Stewart Mott House, a facilitator for public interest groups that adjoins the U.S. Supreme Court building, shown in the background. Huffington Post, The Case of the Missing Transcript, (Part 1 of 3), H. Lee Sarokin, May 5, 2014. Defendants in a Colorado case, United States of America v. Banks et al., claim, in addition to asserting their innocence, that their Fifth Amendment rights were violated when the trial judge compelled them to testify. Because there is always a danger in these matters of hearing one side, I insisted that I be furnished with the government's version of what transpired in this disputed exchange. The government's brief (U.S. Answering Brief) summarily dismisses the claim by stating, "Because nothing in the record other than the defendants' own self-serving assertions supports their claims of compulsion, the exact language used by the district court during the sidebar conference is immaterial" (emphasis mine). Roughly translated, the statement should read, "There is nothing to support the defendants' position on the record, because there is no record." It is an obvious concession by the government that the record before the court of appeals does not contain evidence of what the trial judge said to the defendants -- which they claim caused them to believe that they had to testify or be foreclosed from proceeding with their case. Although the defendants vehemently proclaim their innocence, I do not have sufficient information to comment on their convictions. But I have no doubt that whether or not they felt compelled to testify depends exclusively on what the judge said to them at that precise moment. To suggest that the court's "exact language" is immaterial is ludicrous, particularly since the court and the defendants disagree as to what was said. Friends of Justice, Money for Nothing: how racial bias destroyed six lives, stymied a Black owned business and outraged a congregation, Alan Bean, May 22, 2013. Six devout and dedicated executives are serving hard time in a Colorado prison and their loved ones don’t understand why. From the perspective of those who worked and worshiped with these men, the fingerprints of racial bias are visible to the naked eye. FBI agents and DOJ prosecutors never saw this as a civil matter, a case of well-intentioned businessmen incurring business debt. Instead, scores of federal officials concluded, in the face of overwhelming evidence to the contrary, that a Colorado software development company had no prospects of success, no interest in success, and existed for the sole purpose of defrauding business partners. Until you realize that five of the six men at the heart of this story, the public face of the company, are African American, nothing else makes sense. 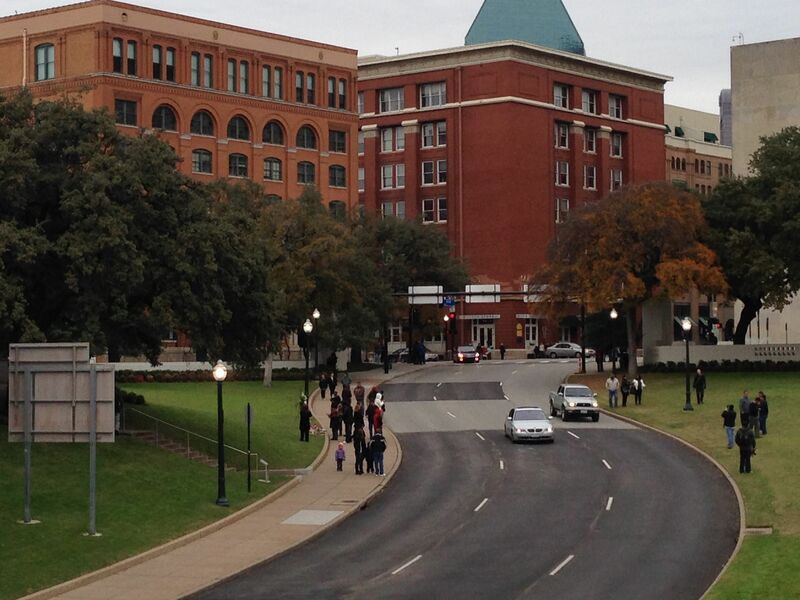 Project Launches JFK Assassination Readers' Guide, Oct. 16, 2013. The Justice Integrity Project provided a consumer's guide in 1963 to the many books and events surrounding the 50th anniversary of the assassination of President Kennedy in Dallas on Nov. 22, 1963. 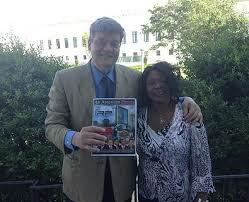 Project Provides JFK Readers Guide To New Books, Videos , Oct. 26, 2013. This is a list of new books and films in 1963. Washington Post, BP’s ‘gross negligence’ caused Gulf oil spill, federal judge rules, Steven Mufson, Sept. 4, 2014. U.S. District Judge Carl Barbier ruled on September 4, 2014, that BP’s “gross negligence” and “willful misconduct” had caused the massive oil spill in the Gulf of Mexico in 2010. Justice Integrity Project, Virginia Governor's Corruption Case Shows Prosecution Power, Andrew Kreig, Aug. 8, 2014. The federal corruption trial of former Virginia Gov. Robert McDonnell illustrates the power held by prosecutors to destroy a defendant -- or, conversely, to grant a wrist slap. As the trial finished its second week, looming large is the difference between the 14 counts McDonnell and his wife Maureen currently face and the prosecution's pre-trial offer of merely one count against the former governor if he would plead guilty. The difference between the government's plea bargain offer and the current charges shows how our legal system grants prosecutors too much authority compared with that of judges and juries. McDonnell and his wife are accused of trading the governor's office prestige for more than $150,000 in gifts, vacations and loans from Jonnie Williams, head of a vitamin supplement start-up Star Scientific. Juries theoretically decide a trial, but in practice prosecutors make the most important decisions by deciding how vigorously to pursue complex cases in terms of charges, including whether to accuse family members.